For this tutorial you will want the scrapkit called Spring Solace by me, you can find more info about the kit on THIS POST. 1. Open new canvas size 600 x 200. 2. 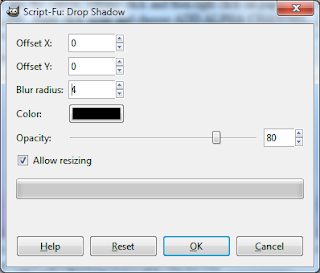 Click and drag paper 11 into the canvas, release click and then right click on paper layer and choose SCALE LAYER to 600 x 200. Right click again and choose ADD ALPHA CHANNEL. Duplicate paper layer. Right click once more and choose ALPHA TO SELECTION then to EDIT in menu bar and SHRINK by 4 then EDIT>CLEAR. Then SELECT>NONE. 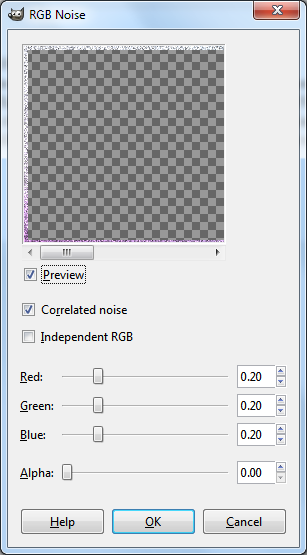 Add noise by going to FILTER>NOISE>RGB NOISE with settings shown below. Click OK.
3. 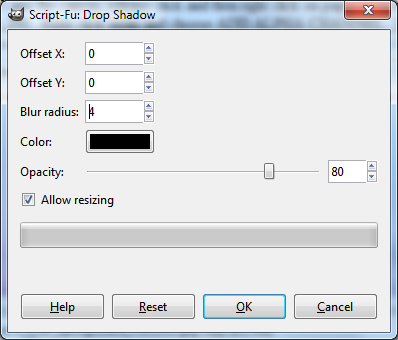 Add a drop shadow by FILTERS>LIGHT & SHADOW>DROP SHADOW with settings shown below. Click OK.
4. Now right click on the paper 11 copy (top layer) and choose ALPHA TO SELECTION then go to IMAGE>CROP TO SELECTION. SELECT>NONE. 5. Add the following elements from kit to your canvas by either clicking and dragging into canvas or going to OPEN>OPEN AS LAYERS and position them appropriately. 6. Add your tube of choice. I am using the tube called HOTTIE GIRL by Ismael Rac, and this artist requires you to have a license thru the company and display it when you use the art. Open HOTTIE GIRL 2 and delete the copyright and background layers, as well as all except layer 4. Place in center of canvas then go up to COLORS>DESATURATE with Luminosity clecked then click OK. Use the opacity slider over in the layers box and change the opacity to 53. Now add HOTTIE GIRL 1 and delete all layers but layer 7. Add a drop shadow 2/2/2. 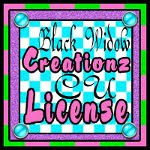 Do not forget to add the copyright info to your tag as well as your license if applicable. 7. Add your name. I used the color picker tool to get a shade from the pink hair in the tube. I used a font called Pea Roxygirl at size 59. Add noise with same settings as above. Then I used the color picker tool to get a powder blue shade from the butterflies, and right clicked on the text layer ALPHA TO SELECTION then SELECT>GROW by 2. 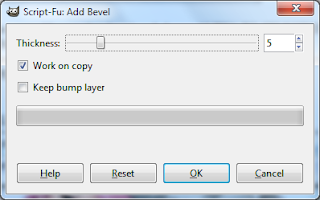 Next, click again on the pink text layer to make active and go to FILTERS>DECOR>ADD BEVEL with settings shown like below. Click OK.
That will open it in a new window and the text will look puffy. Add a drop shadow 1/1/1 then click on the powder blue text layer to make it active and go back to FILTERS>LIGHT & SHADOW>DROP SHADOW with levels at 2/2/6 with WHITE not black as the color. Now on to the avatar... Super easy!